RB Engineering is committed to participating in conferences, trade shows, conventions and industry speaking events. We like to stay current with the latest trends, share our expertise and interact with other industry professionals. We encourage you to check here on a regular basis, for updates on our scheduled events, as well as information we have come across that we believe can be of interest and value to our clients. October 11, 2012- Making Energy Work Conference at the Charlotte Convention Center in Charlotte, NC. 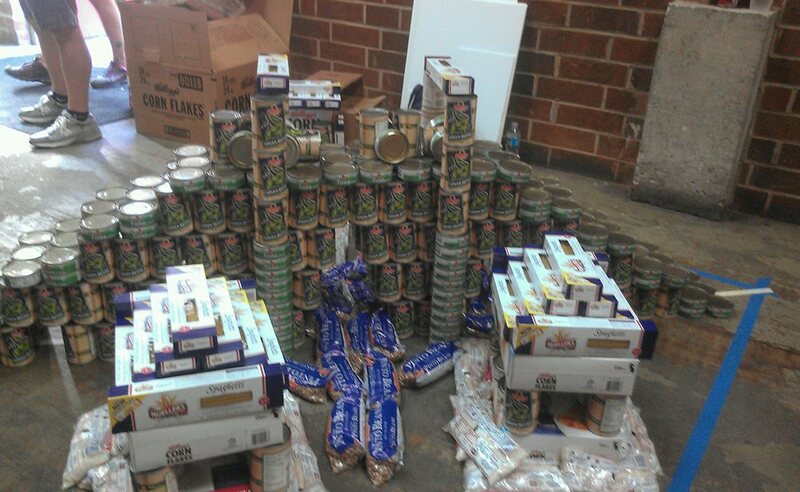 September 22, 2012- RB Engineering participated in the Creative Food Drive in Durham, NC sponsored by MHA Works. 9th Annual Sustainable Energy Conference "Sustainability: Optional No Longer"
March 21, 2012- RB Engineering attended SMPS (Society for Marketing Professional Services) presentation titled "Integrating Social Media a Roadmap for A/E/C Firms" held at O'Brien/Atkins in Durham. December 8, 2011- RB Engineering hosted a booth at the 2011 GreenNC Trade Show and Expo at the Durham Convention Center.